Oblong, established in 1996, manages Woodhouse Commuity Centre is a community development organisation that provides advice, support and facilities for local people who want to make a difference through volunteering and community projects. • Volunteer opportunities – for graphic design, web design and video, working with local community projects to meet their needs. • Administration & reception opportunities. • Resources – meeting rooms, IT suite, art space and office space for hire. • Healthy living activities – these include mental well-being sessions, yoga and a gardening project. • English lessons for speakers of other languages. • Training, advice and support – to individuals and small groups of people who want to establish locally based not-for-profit community activities. Caring Together in Woodhouse and Little London has been supporting local older people since 1995. They have regular social groups and exercise groups as well as IT drop ins and classes both at the centre, and beyond. They are proud to offer advice, support, and social activities to improve the quality of life for Older People to enable them to live independently in their own homes. 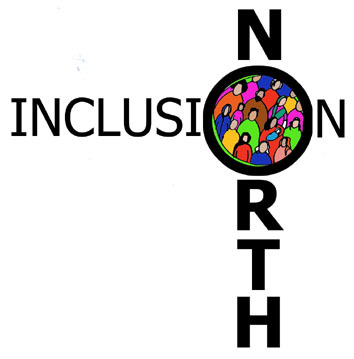 Providing training, consultancy and individual support to develop the skills of all to create welcoming and able communities. Abigail Housing are a West-Yorkshire based charitable company dedicated to providing support and homes to refugees and asylum seekers who find themselves destitute on our streets. This includes those who have been refused asylum but cannot reasonably return to their country of origin and those given refugee status who have to leave their NASS housing. Touchstone provide mental health and wellbeing services to over 2000 people a year, whilst also working across communities to grow their confidence and capacity to demand the services and positive experiences they are entitled to. Touchstone run IAPT Cognitive Behavioural Therapy session from their office here at Woodhouse Community Centre. Leeds Zen Group meets on Monday and Thursday evenings and Saturday mornings to practise Zazen (sitting meditation) Beginners welcome.